Last month, during an Earth Day event staged with timber industry executives at a school in Georgia, EPA Administrator Scott Pruitt announced that the Trump Administration would officially consider the clearcutting and burning of forests to be good for the climate. The administration declared that burning wood – or “biomass,” as it’s called in industry jargon – to generate electricity is “carbon neutral.” Why? Because the carbon dioxide pollution that wood-fueled power plants release will allegedly be balanced out by the industry’s replanting of trees. This “carbon neutral” designation means EPA will grant the rapidly-growing biomass industry exemptions from any future carbon dioxide pollution control rules. One of the biggest beneficiaries of the policy shift is a Bethesda, Maryland-based company called Enviva Biomass. 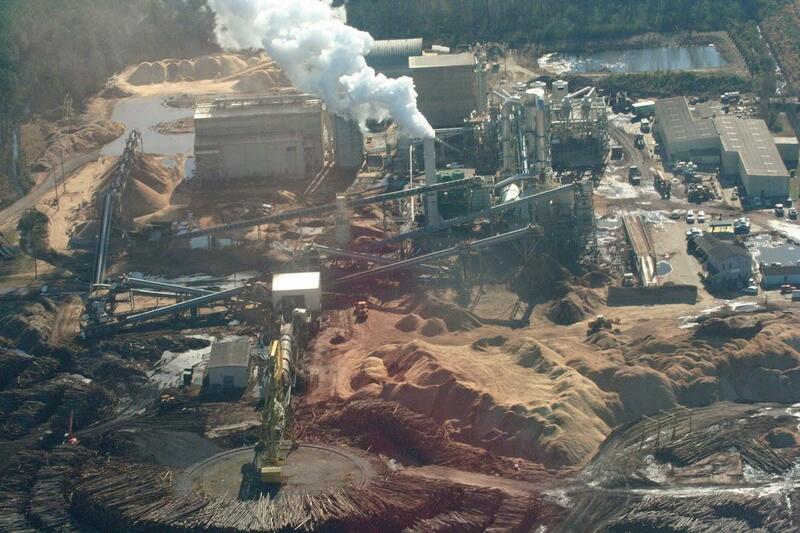 Enviva is the world’s largest producer of industrial wood pellets, and it owns manufacturing plants in Virginia, North and South Carolina, Mississippi and Florida. The company declined a request for an interview. But here’s how it describes its business in a promotional video. Keri Powell, a former EPA senior clean air act attorney, authored a report on the biomass industry for the Environmental Integrity Project, which I also worked on. Powell and a colleague at the Environmental Integrity Project, Patrick Anderson, examined federal and state records for 21 wood pellet plants across the south. They concluded that more than half of the plants (11 of 21) were violating the federal Clean Air Act, either by failing to keep pollution below legal limits or by not installing required pollution control systems. The investigation also found that at least eight plants have had fires or explosions since 2014, many of which released large amounts of air pollution. Emily Zucchino is a community network manager at the Dogwood Alliance, which fights industrial logging across the South. She noted that an Enviva biomass export terminal in Chesapeake, Virginia, was shut down in February after suffering a major fire. Looking at the bigger picture, many scientists call the alleged “carbon neutrality” of burning wood a fallacy. Among the critics is Sami Yassa, a senior scientist at the Natural Resources Defense Council. In other words, you can’t make the Earth cleaner and greener by cutting down forests and burning them, even if you promise to replace the trees with saplings later.